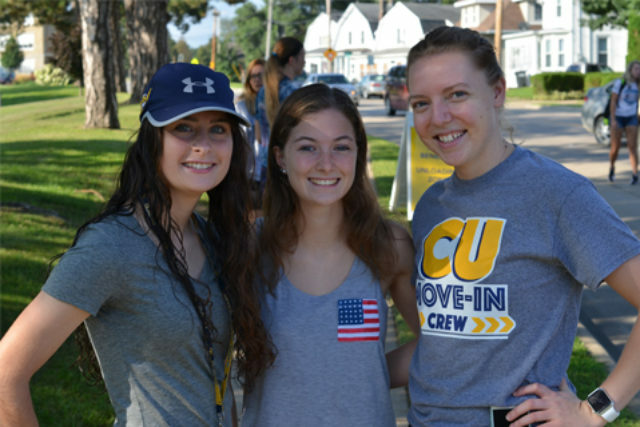 To provide more flexibility to students who are looking to work on campus or take summer classes, on-campus summer housing is available to Clarke students at no charge. Please be advised that while there is no charge, this is considered a taxable benefit. * Although tax rates vary by person, the typical individual does not pay more than $10 per week. The student must work at least 15 hours per week on Clarke’s campus. Summer housing will be offered in the Catherine Dunn Apartments. Each apartment has 6 private bedrooms. The six occupants share a kitchen, living room, and two bathrooms. Assignments will be made depending upon intended arrival and departure dates. If a person chooses to live on campus during the summer, but does not qualify for the free room through the above stipulations, they will be billed at the rate of $120 per week. Billing may be retroactive. *Under the Tax Law of Colleges and Universities, campus lodgings provided to students (at no cost) should be included in the gross income with applicable withholdings, since the student pays no rent. The value of campus lodgings is $120 (for a private room). Therefore students should be aware that during the summer when campus lodging is provided at no cost, $120 per week will be added to their gross income for tax purposes ($480 per month). The impact will vary per student, and will depend on the amount of weeks in residence as well as applicable holdings (determined by student).